Taiko Basics classes cover basic form, techniques, history, taiko etiquette, and philosophy and are appropriate for students of all ages, with little to no taiko or musical experience. First time students, please arrive about ten minutes early. Taiko II classes have a more vigorous curriculum than Taiko Basics and focus on refining form and expanding repertoire. 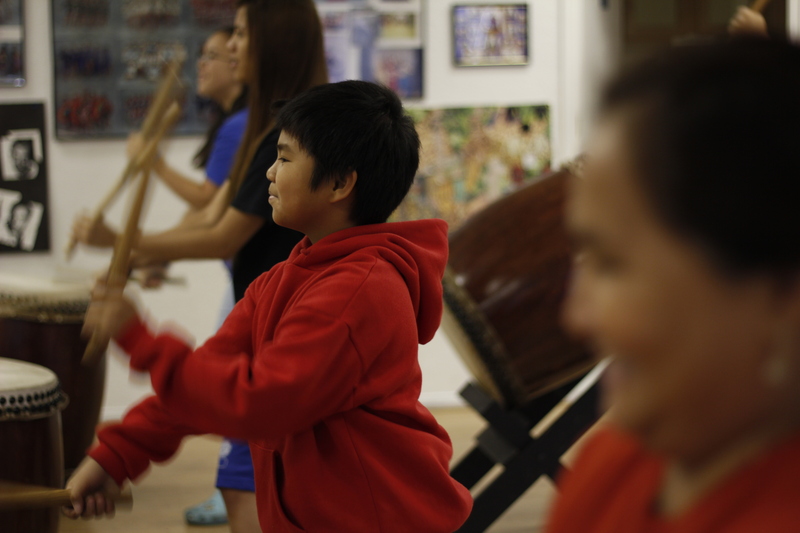 We recommend students attend a few Taiko Basics classes before attending Taiko II. These practices are open to all skill levels. We will address rudiments, repertoire, and introduce different aspects of taiko. We will provide you with drum sticks (bachi) as part of your enrollment fees. To enroll, email us at classes@korabotaiko.com. If you are interested in classes, but would like to visit us first, you may drop by and see one of our practices. Just email us or call us at 702.482.9522. Our class schedule is subject to change. Please email us before dropping by.